For most women, dressing up is typically an activity reserved for when you are going out of the house. It is a way to show off your beauty, and draw the envy of every girl around you, as well as to make your own partner look good by association. However, despite the end goal of dressing up to show the world your beauty, there is a lot of worth by dressing up within the confines of your own home, for your eyes only. And it is a fantastic way to spend your time home alone. Let’s discuss why having this vanity-centric mindset is acceptable (and in fact should be encouraged), followed by how to go about indulging in a mock fashion shoot. This fact is sometimes hard to recognize by many young women out there. By dressing up, you are conveying how beautiful you really are, not only to the world, but more importantly to yourself. Dressing up can be a huge boost to your own self-esteem and confidence levels, and so finding and wearing outfits that you make you look and feel beautiful should not be understated. And perhaps the best part about dressing up in general is that the confidence that comes with dressing in your best wardrobe can extend even when you dress in more modest outfits. When you have the confidence in whatever you wear (whether it is something extravagant or something more modest), you simply feel better about yourself and about life in general. Having confidence (in part because of how you dress) improves not only how you perceive yourself, but life in general as well. Dressing up in and of itself is a great way to exercise your freedom as an individual to dress how you want, no matter what other people may think of you. Even if the occasional doesn’t necessarily require a nice outfit, no one can stop you from dressing in an elegant, stylish dress. In fact, we believe there is never such a thing as overdressing. And you not only can exercise your sense of freedom in general by dressing up, you can also exercise your sense of creativity based on the specific fashion choices you make. This can lead to new social interactions with people commenting on your outfit and how unique and beautiful it is. These new social interactions can add up over time to brand new friendships, and even possibly new romances. Regardless of how you look at it, dressing up when you go out in public leads to an enhanced emotional state for yourself, which is why dressing up in public is so beneficial. The only question now is why we should spend time dressing up in the privacy of our own homes, which is exactly what we will discuss next. As we mentioned above, dressing up in general (i.e. in public) can be a huge boost to your self-esteem and confidence levels. However, for many women, those confidence levels don’t magically materialize as soon as they wear their cute outfits out in public. In most cases, women need validation from their friends or their partner in the store before even buying something. They need to have some semblance of confidence that they can pull off the dress or whatever outfit they are trying on, and only then will they buy it. However, in a lot of cases, that isn’t enough for women to take that dress and put it to good use out in public. 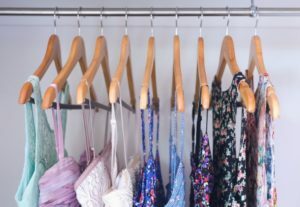 So often, we buy a dress and love it while in the store, but we end up letting it sit in our closets simply because we have second-thoughts about whether we really look good in it. This is the perfect time to take that dress out and try it on in the comfort of your own home. It is a great way to get reassurance from yourself that you are in fact ready to take the dress out for a spin, in an environment where you can truly feel like you aren’t being judged. Dressing up in your unused outfits at home is just what you need to build the confidence to finally wear them out in public. In addition, women can use dressing up in their own home to try out combinations of wardrobe choices. Sometimes, women don’t end up wearing something they’ve bought at the store simply because they don’t know what shoes or bags they can use to match it. Or they don’t have the time in the mornings before work, or before they go out to dinner to try different looks out for themselves. But when you are home alone with nowhere to go, this is the perfect time to try on new wardrobe combinations to see what works and what doesn’t. Whether you are trying to find the perfect combination for the new outfit, or just looking to spice out outfits that you have worn in the past, taking time to look at how they look in front of a mirror is never a bad idea. This may sound silly to you, but it is a big piece of advice that should always be followed when trying on your various wardrobes in your own home. To start, be sure to always fully dress up, including everything from your shoes and accessories, to even your makeup and hair. All of those little things make a huge difference in how the overall look turns out, so it is important to put all of the elements together so you can get an accurate feel for how your full outfit looks on you. Once you’ve gotten your entire ensemble together, you also need to make sure to really show off your good side, and to pose for yourself in the mirror, similar to the posing done in a fashion show. You can even confidently strut back and forth across the bathroom if you want. This again, helps to emulate how you would actually present yourself in the outfit, since as all women know, the way you wear your outfit is just as important as what you are wearing. Plus, approaching your modeling session with the swagger of a real model can help you become more confident in general, regardless of what you eventually decide looks the best on you. Make sure to put together the entire outfit when “dressing up”, including hair and makeup. Despite what anyone tells you, dressing up is a positive experience that does not deserve any scrutiny or criticism. It can help you as a woman to feel more confident and improve your self-esteem, as well as allow you to exercise your freedom and creativity to dress how you choose. But to make the most out of the way you dress up, it is imperative to take it upon yourself to make dressing up an activity that you partake in at home when you have the time. 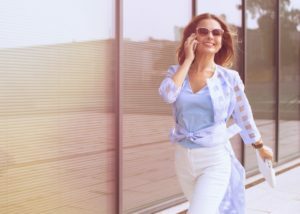 Doing so will not only help to instill the confidence to finally take your previously unused outfits from out of your closet and out in public, but also help determine what combinations of clothing and accessories truly looks the best on you, all of which leading to a healthier, happier you.